As a dancer Tonia Shimin has performed with The Martha Graham Company in Primitive Mysteries and has toured throughout the USA, Europe and the Mid East with the Jose Limon Company, Pearl Lang Company, and as a soloist with Anna Sokolow's Player's Project, Mary Anthony Dance Theater and Repertory West Dance Company among others. She has created over 35 works for The Dance Division of The University of California Santa Barbara, Santa Barbara Dance Alliance, Santa Barbara Dance Theater and the VUS Company in Prague, the Czech Republic. Tonia has taught extensively in the United States at The Juilliard School, The Martha Graham School, The Neighborhood Playhouse School of Theater, The 92nd Street Y, The North Carolina School of the Arts and in Europe, Canada, Mexico, Israel and the Czech Republic. Awards include a National Endowment for the Arts Choreography Fellowship and an Individual Artist Award from The County of Santa Barbara Arts Fund. In 1994 she entered the world of dance filmmaking receiving a Cine Golden Eagle Award for her first film Passage. Both Passage and Who Called Me To This Dance? received honorable Mention Awards and numerous screenings nationally. Her most recent contribution to dance filmmaking is Mary Anthony: A Life in Modern Dance, a full length video documentary on the cherished American modern dance pioneer Mary Anthony. 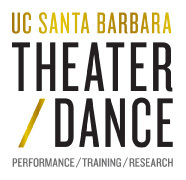 Supported by funding from the National Endowment for the Arts, the University of California Santa Barbara and by private foundations and donors, the work was awarded a Certificate of Recognition for esthetic achievement and contribution to the field of screendance, from The American Dance Festival's Dancing for the Camera, International Festival of Film and Video Dance, 2004. Mary Anthony: A Life in Modern Dance premiered at The Dance on Camera Festival, Lincoln Center, New York in 2004 to a standing ovation and has since been screened nationally and internationally. In 2005 Tonia Shimin received a Lifetime Achievement Award from the Santa Barbara Dance Alliance.